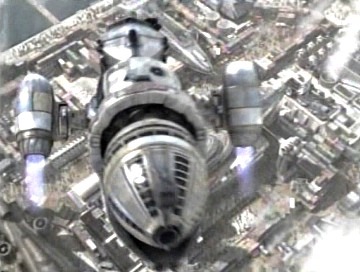 The world of Firefly is circa 2517 AD, in an unspecified arm of the universe. There are no aliens, prosthetic forehead or otherwise, and no sounds in space. The story follows the crew of a space ship called Serenity. So why is the show called Firefly? 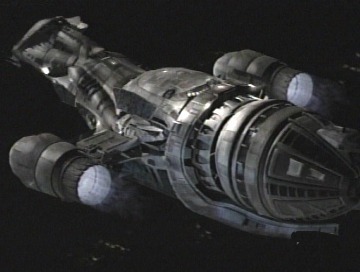 Because Serenity is a Firefly class ship. 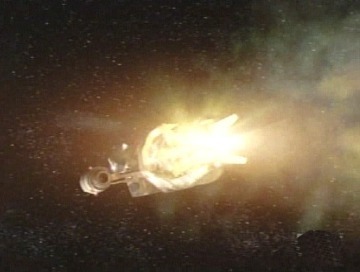 Firefly class ships have engines in their tail end that light up creating a visual effect much like a firefly. Serenity shifts cargo around, some legal, some not. The settlements in the outer regions where Serenity flies are a mixture of semi-seedy metropolises to incredibly barren and horrid smelling mud pits. 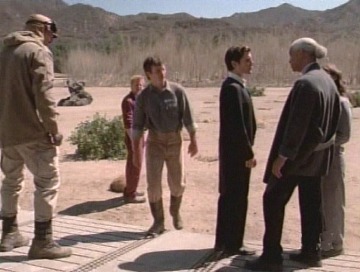 The crew mingles and says witty things to one another while wandering around the galactic badlands. Oh, and they speak Mandarin with no subtitles. Its a long story. While the Alias, Hornblower and SAJV sites are mainly helmed by the evil monk Ephian, this one is run by the defenestrated one (a.k.a. Kuei Luola). Switching from third to first person, should you feel the need to contact me regarding this site, please e-mail me here. Everything here relating to "Firefly" belongs to Fox, and Mutant Enemy Productions. "Firefly" stars Nathan Fillion as Mal Reynolds, Gina Torres as Zoe, Alan Tudyk as Wash, Morena Baccarin as Inara, Jewel Staite as Kaylee, Adam Baldwin as Jayne, Sean Maher as Simon, Summer Glau as River and Ron Glass as Shepherd Book. The show is the creation of Joss Whedon.